Our Shark shirt is made of 100% USA cotton and shipped out to you by USPS with tracking delivery. Our unique printing process actually pulls the dye color out of the Shark shirt and leaves the ink color behind, essentially dyeing the cotton with the ink. The Shark shirt features an over-sized relaxed fit, with reinforced double-stitching on all seams. After dyeing they are washed and dried, so they arrive to you comfortable, pre-shrunk & ready to wear. 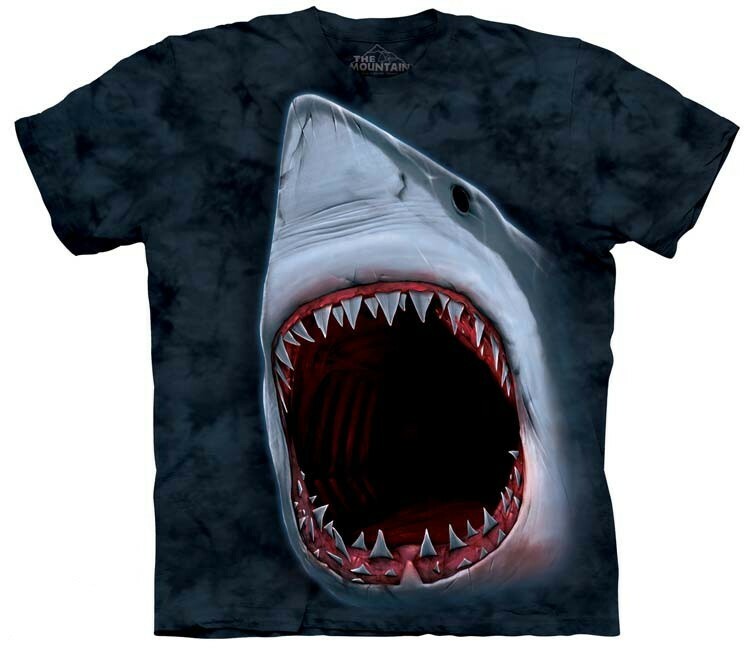 This heavyweight 100% cotton Shark shirt will last you years and years. Our Shark shirt is made of 100% preshrunk cotton (even the thread that holds it together is cotton). If washed according to our label instructions, in cold water, not only will your Shark shirt stay at the same size as when you purchased it, but also the print will remain vibrant for years to come.